I have held a real estate license since 1983; working with real estate companies such as Century 21, Keller Williams & Community Choice Realty. During that time I have helped countless individuals and investors with selling and/or purchasing a home(s) in the Metro Detroit area. 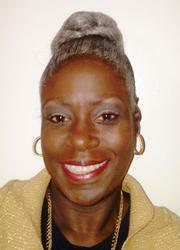 I have also assisted in numerous HUD sales, foreclosures and short sales as well in an ever changing real estate market. I also network with countless mortgage representatives, title companies, appraisers, real estate agents, etc. in order to meet the needs of all my clients and/or customers. If you’re looking for a real estate agent with integrity to manage your real estate needs from beginning to end look no further.